From Ed100: Have You Thanked a Teacher Today? Originally posted on Ed100, this article by Carol Kocivar reminds us why Teacher Appreciation Week (May 7-11, 2018) is crucial for our hard-working educators. These two words alone may not solve the teacher shortage, but they can make a big difference to the teachers in your school. Teacher appreciation week is the week of the second Wednesday of May. Many school districts in California are hiring teachers, or trying to. The problem is that certification programs at California's colleges and universities have been running lean for many years, and it takes time to rebuild. In these circumstances, it is natural for teachers to click through EdJoin and wonder: is the grass greener in another school or district? Saying "Thank you" may not solve the public policy debate over how to recruit and retain amazing teachers. "Thank you" doesn't address the issues of pay, or pensions, or benefits. But for the teachers who work every day in our schools to help our children, "thank you" can make a world of difference. Sometimes we forget that little things really count. It's personal relationships that bring us together for the common good. You can do it with a simple handwritten note. (That really is my favorite.) I remember the day I wrote my first "thank you" note to a teacher. My daughter was just completing kindergarten. I wanted her teacher to know my daughter looked forward to going to school almost every day. So I wrote a short note thanking her for making my daughter's first year of school such a success. Her teacher made a point of stopping me at school to let me know how much she appreciated the note. In California, teacher appreciation week officially falls on May 7-11, 2018. 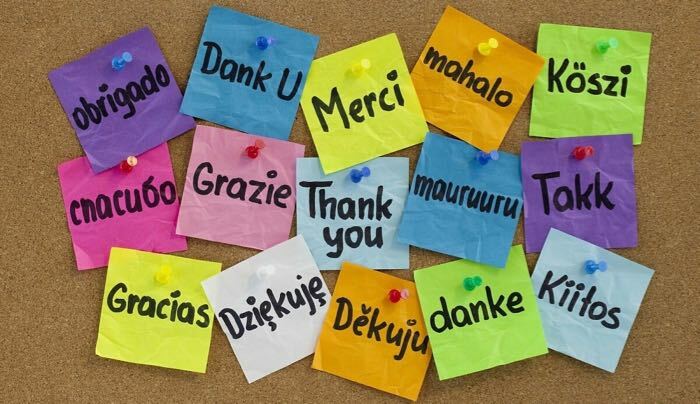 The California State PTA website has more ideas for how to say "Thank you."